1 What is Search Engine Optimization ? Search Engine Optimization was a process that can optimize your Blog for search engines.The visibility of your blog increases on google by search engine optimization (SEO). More traffic to a blog mainly from Search Engines like Google, Bing , Yahoo. Then, we want to optimize our blog for search engines. When the blog is highly optimized , your blog traffic and visibility in Search results would increase. Search engine optimization was a difficult thing, but may not be a impossible.Learning more things about SEO can rank your blog on search.We very well know about that there exists a affordable Search Engine Optimization. There would be some external viewing sources within search engine optimizaion service. We have to insert the keyword when, make your blog title. Should not use a large title or a short title. The Title must between minimum 10-70 characters. important keywords on the meta description too. 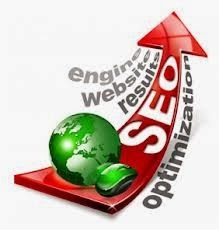 It might help to increase your search engine rank. Meta Description should contain 70 – 160 Characters. We have to insert Heading Tags which consists of keywords.It helps to optimize your blog and decrease your bounce rate.Here it includes a search engine optimization service. Here ‘Content is the King’. The primary thing for SEO is Content of that blog.When your content is excellent our blog get high traffic to your blog. The content must includes H1,H2 tags and keywords. The ratio between Text and HTML should be atleast 15%. ‘Site map generators’. Go to Google Webmaster tools and Bing Webmaster tools and submit your Sitemap. It would be one of easier , does not steam anymore, and perform all this in few days and might forget about this. We must constantly work hard, have to produce fresh new information, make communication to our twitter followers, make post updates often to Facebook, construct a better reputation on forums and blogs, might to know press contacts and could keep them up-to-date within how we are doing and usually the internet would construct trust in our website. Make remember that, SEO was an ongoing perfornmance effort, and we should keep viewing our site for great progress. We could try tools like SEOMOZ, that would make crawling our fresh Website like a search engine optimization bot, and would give our recommendation to increase your website.Then there you have it, the top ten primary basic SEO things we have to do for the launch a site. I hope few of our found it more useful, feel more free for sharing what we have to do within affordable Search Engine Optimization.